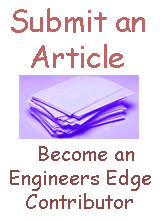 Aircraft hardware is identified for use by its specification number or trade name. Threaded fasteners and rivets are identified by Air Force-Navy (AN), National Aircraft Standard (NAS), and Military Standard (MS) numbers. Quick release fasteners are identified by factory trade names and size designations. The illustration below, depicts typical and common aircraft ( AN and NAS ) type bolts and their identifying markings. 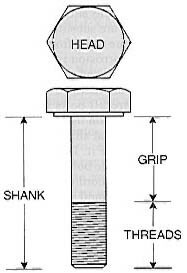 The three principal parts of a bolt are the head , grip , and threads , as shown below.